Stay warm while you train in a Canterbury Hoody from our 2019 Black Caps training range. Made from a cotton and polyester brushed back fleece, this hoody is quality training wear that’s as functional as it is good looking. Stay warm on those cold mornings and cool training evenings in a Canterbury Hoody from our 2019 Black Caps training range. Constructed from 55% cotton and 45% polyester brushed back fleece, this hoody is the ideal throw on when heading to the gym or as an extra layer for casual weekend wear. 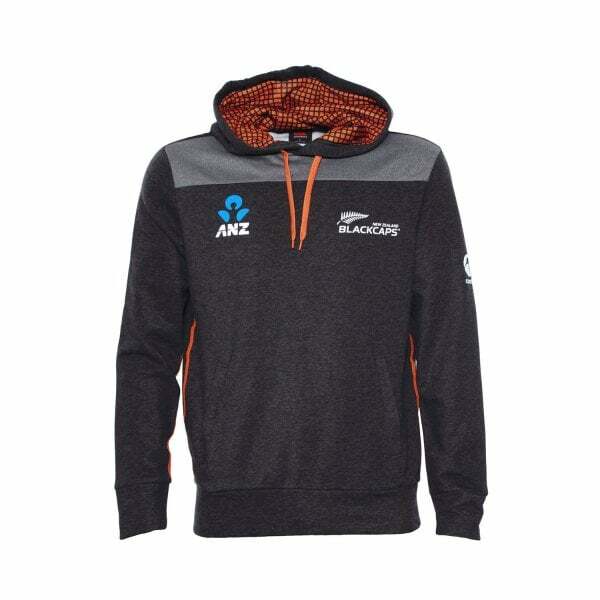 And badged with the NZ Black Caps team insignia, it identifies the wearer as an official NZ supporter. Show your support and stay warm while you do it in this quality hoody featuring the iconic CCC logo that shows your allegiance to the Canterbury community of players and fans.